Crunchy, sweet, and spicy perfection can be found in this Sweet and Spicy Curry Popcorn. It is anything but ordinary! In case you haven't checked your social media outlets yet, today is National Popcorn Day. Perfect, because I am sharing all things popcorn this week for Five Days of Popcorn. 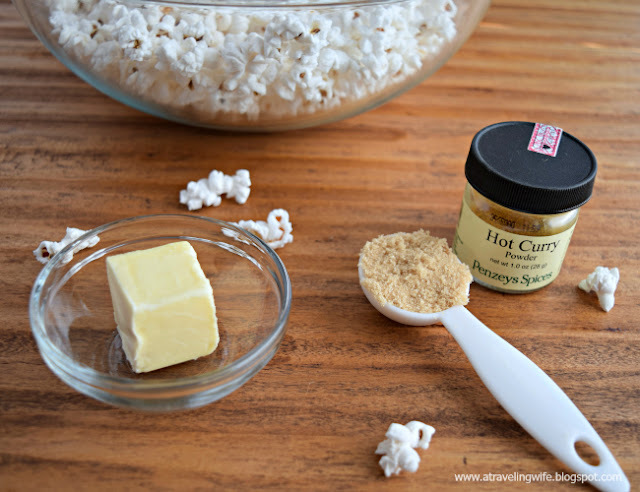 Yesterday we talked about the basics of stovetop popcorn and how to make perfect stovetop popcorn for two. We are going to work off those basics and create a sweet and spicy concoction - perfect for celebrating National Popcorn Day. I am a huge fan of the flavor of curry. The spices of tumeric, coriander, cinnamon, nutmeg, cloves, ginger, garlic, and cumin are just a few of my favorite things. Combine them all together with all the other flavors of curry and you will have a symphony in your mouth. Click to tweet: This popcorn will create a symphony of flavors in your mouth! I've been known to add curry powder to macaroni and cheese, traditional Indian dishes, and now popcorn. But get ready, this isn't your regular curry powder. It's spicy curry powder. I purchase mine from Penzeys, but you can purchase yours from whereever you'd like. If you are unable to find spicy curry, you can always use regular curry powder then add some red pepper flakes to the desired amount of heat. So what are you waiting for? 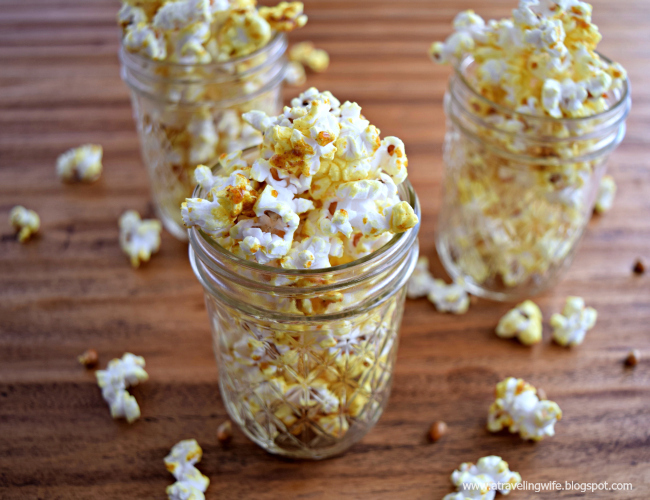 Pop some popcorn and get to celebrating with this Sweet and Spicy Curry Popcorn. Once you've made your perfect stovetop popcorn, set it aside. Add in brown sugar and spicy curry powder. Stir until well incorporated. 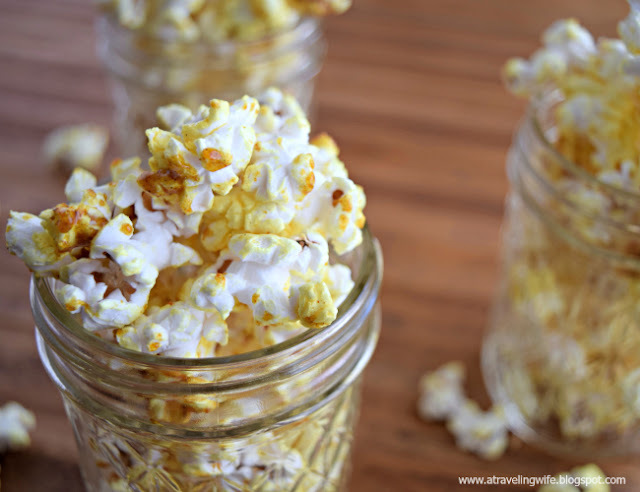 Drizzle melted butter mixture over salted popcorn and mix well. 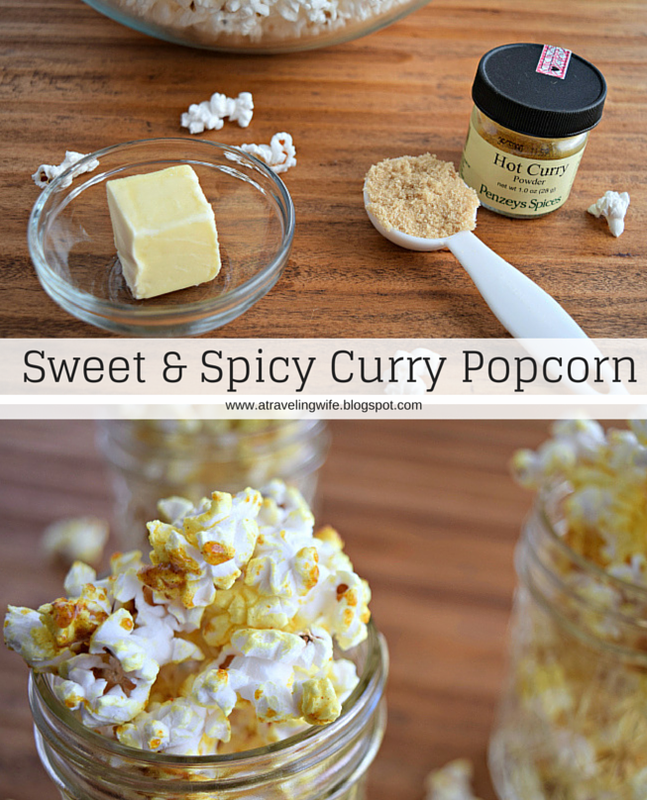 Click to tweet: Mouthwatering Sweet and Spicy Curry Popcorn. Do you add curry powder to any unique recipes? Are you a fan of curry? Will you be eating popcorn to celebrate National Popcorn Day? Want more popcorn recipes? Check out the entire Five Days of Popcorn series.